Start with good compost, give it some water, some aeration, and some time, and you’ll have a multipurpose elixir for your garden. 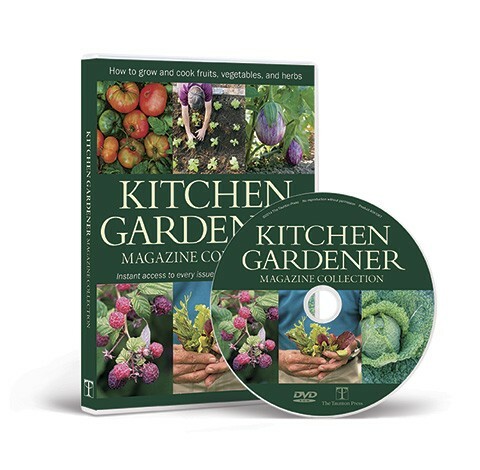 Gardeners all know compost is terrific stuff. But there’s something even better than plain old compost, and that’s compost tea. As the name implies, compost tea is made by steeping compost in water. 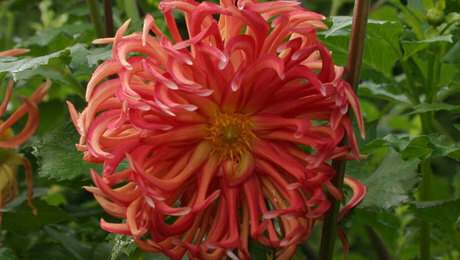 It’s used as either a foliar spray or a soil drench, depending on where your plant has problems. Why go to the extra trouble of brewing, straining, and spraying a tea rather than just working compost into the soil? There are several reasons. First, compost tea makes the benefits of compost go farther. What’s more, when sprayed on the leaves, compost tea helps suppress foliar diseases, increases the amount of nutrients available to the plant, and speeds the breakdown of toxins. Using compost tea has even been shown to increase the nutritional quality and improve the flavor of vegetables. If you’ve been applying compost to your soil only in the traditional way, you’re missing out on a whole host of benefits. 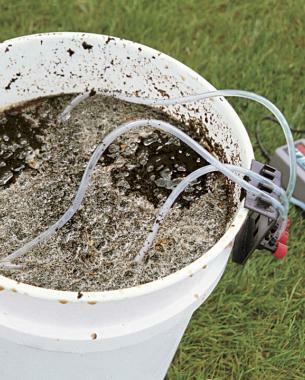 To brew compost tea, you’ll need a pump, some air tubing, a gang valve, and three bubblers. 1. Attach one end of a piece of tubing to the pump; the other end will connect to the gang valve. 2. Attach tubing to each of the three ports on the gang valve. Plug bubblers into the other ends. 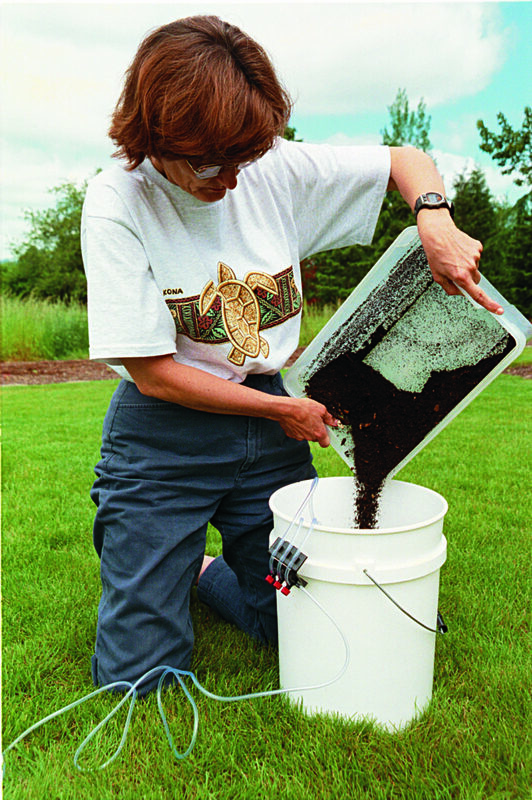 To brew compost tea, you will need a 5-gallon plastic bucket and a few aquarium supplies: a pump large enough to run three bubblers (also called air stones), several feet of air tubing, a gang valve (which distributes the air coming from the pump to the tubes going to the bubblers), and three bubblers. You’ll also need a stick for stirring the mixture, some unsulfured molasses (preferably organic), and an old pillowcase, tea towel, or nylon stocking for straining the tea. An extra bucket comes in handy for decanting the tea. Don’t try to make compost tea without the aeration equipment. If the tea is not aerated constantly, the organisms in it will quickly use up the oxygen, and the tea will start to stink and become anaerobic. 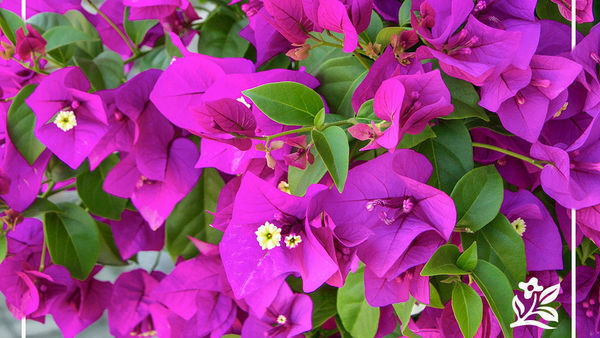 An anaerobic tea can harm your plants. Also, keep in mind that tea made using this bucket method needs to brew for two or three days and then be used immediately. If you work Monday through Friday, start the tea on Wednesday or Thursday, so it will be ready in time to apply it on the weekend. If you’re on a well, you can use water straight from the spigot. But if you’re using city water, run the bubblers in it for about an hour first, to blow off any chlorine. Otherwise, the chlorine will kill all those beneficial organisms you’ve gone to the trouble of raising. 3. 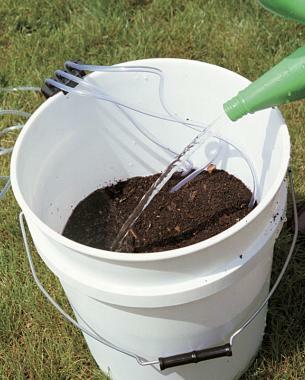 For adequate aeration, be sure the bubblers sit on the bottom of the bucket, which is half filled with compost. 4. Add water to within a couple of inches of the rim. If you’re using city water, aerate it first for an hour to get rid of any chlorine. Once you have safe water, fill the empty bucket half full of compost. Don’t pack it in; the bubblers need loose compost to aerate properly. Cut a length of tubing and attach one end to the pump and the other to the gang valve. Cut three more lengths of tubing long enough to reach comfortably from the rim to the bottom of the bucket. Connect each one to a port on the gang valve and push a bubbler into the other end. Hang the gang valve on the lip of the bucket and bury the bubblers at the bottom, under the compost. 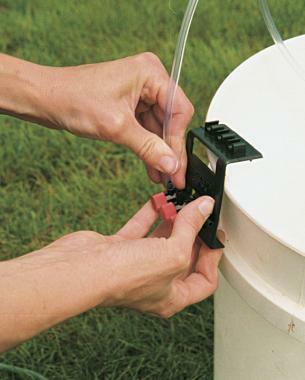 Fill the bucket to within 3 inches of the rim with water, and start the pump. 5. 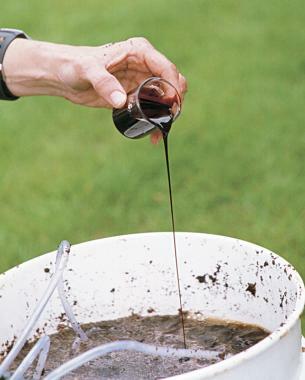 To feed the microorganisms, add an ounce of unsulfured molasses (organic is best) to the bucket and stir. 6. Stir vigorously a few times daily to shake free as many organisms as possible and to increase aeration. Reposition the bubblers after stirring so they’re well spaced. When it’s going, add 1 oz. of molasses, then stir vigorously with the stick. The molasses feeds the bacteria and gets the beneficial species growing really well. After stirring, you’ll need to rearrange the bubblers so they’re on the bottom and well spaced. Try to stir the tea at least a few times a day. A vigorous mixing with the stick shakes more organisms loose and into the tea. Every time you stir, be sure to reposition the bubblers. After three days, turn off the pump and remove the equipment. If you leave the tea aerating longer than three days, you must add more molasses or the good organisms will start going to sleep because they don’t have enough food to stay active. Let the brew sit until the compost is pretty much settled out, 10 to 20 minutes, then strain it into the other bucket or directly into your sprayer. You’ll have about 2 1/2 gallons of tea. If you want, this is the time to add foliar micronutrients, like kelp or rock dust. Use the tea right away, within the hour if possible. 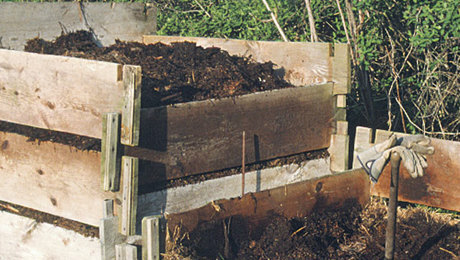 You can put the solids back on the compost pile or add them to the soil. There are plenty of good bacterial and fungal foods left in them. 7. 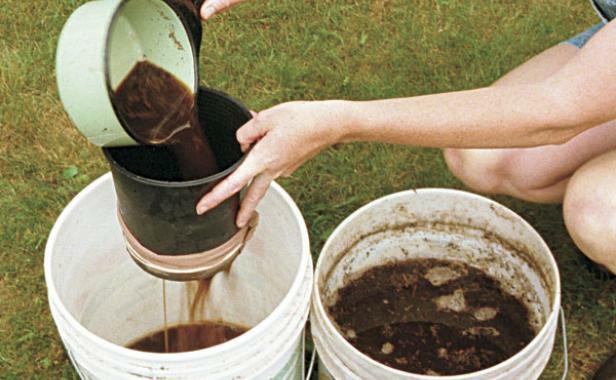 When the compost tea is finished brewing, in two or three days, strain it into another bucket–you’ll have about 2 1/2 gallons–and use it immediately. To make good compost tea, you need actively managed, mature compost; that is, compost that has been turned a few times and allowed to heat adequately so weed seeds and pathogens have been killed. Worm compost also makes excellent tea, without the hassle of turning or checking the temperature. Tea brewed from vermicompost that has been made from a fair amount of paper and woody materials is also high in humic acid, an organic substance that is especially good for potted citrus or other trees and shrubs, or perennial plants. When the center of the pile reaches about 155°F, it’s time to turn it. Mixing air into the pile brings the temperature down, but within a day it will climb back up. 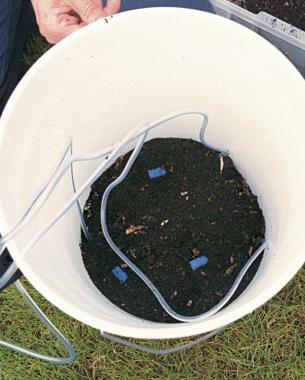 You can manipulate compost so it’s dominated either by bacteria or by fungi. Which one you want depends on what you’re growing and what kind of soil you have. You always want a bacteria-dominated compost tea for use as a foliar spray, whatever the plant. 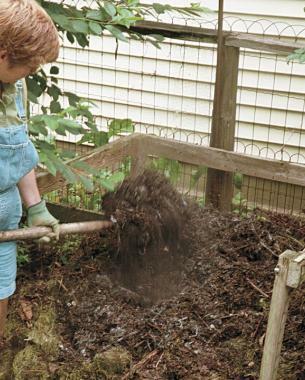 Bacteria-dominated compost is also best for applying to the soil before growing vegetables and herbs. 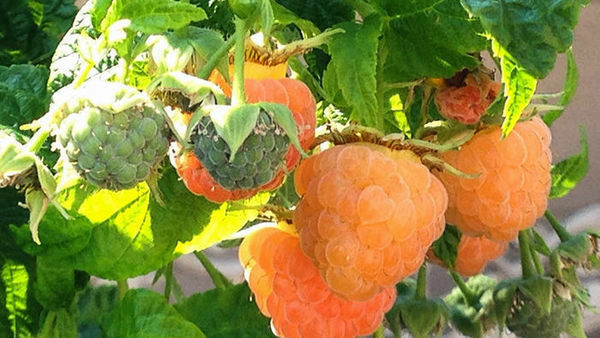 Fungi-dominated compost is good for mulching around berries and fruit trees. But research has shown that a foliar spray of bacteria-dominated compost tea is extremely useful to prevent the foliar diseases that plague most gardens. Thus, most of us need only be concerned with making a bacteria-dominated compost tea. 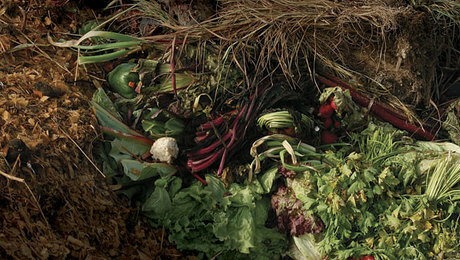 For bacteria to dominate, compost should be made from a preponderance of green materials. You need a mix of 25 percent high-nitrogen ingredients, 45 percent green ingredients, and 30 percent woody material. High-nitrogen materials include manure and legumes, such as alfalfa, pea, clover, or bean plant residues. Grass clippings from the first two or three cuttings in spring, when the blades are lush and tender, qualify as high-nitrogen; the rest of the season, they’re simply green material. Green material includes any green plant debris, kitchen scraps, and coffee grounds, which, although brown in color, contain sugars and proteins that bacteria love. Woody material includes wood chips, sawdust, paper plates and towels, and shredded newspaper. When making compost, measure your ingredients by volume. Try to mix a whole pile at a time. 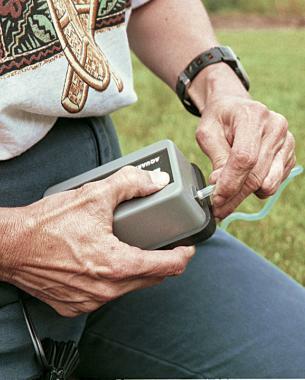 To get it up to temperature and keep it there, you need a mass that measures at least one cubic yard. Moisten the pile as you make it so that it is damp but not wet. An easy way to tell is to pick up a handful of the material and squeeze it as hard as you can; only one or two drops should be squeezed out. Less than that, add water; more than that, let it dry out. Once the pile is made, you can add kitchen scraps as they accumulate. Bury them in the center in different places to help maintain heat in the pile. Small additions don’t upset the ratio. If needed, you can balance the green additions with shredded newspaper or wood shavings. The pile will heat up right away, as microorganisms start breaking down the material. The pile must stay between 135°F and 160°F for three days. At 135°F, weed seeds, human pathogens, most plant pathogens, and most root-feeding nematodes are killed. The pile shouldn’t go above 160°F because at that temperature large numbers of the beneficial organisms begin to be killed. Within a day or two, the center should reach 135°F. 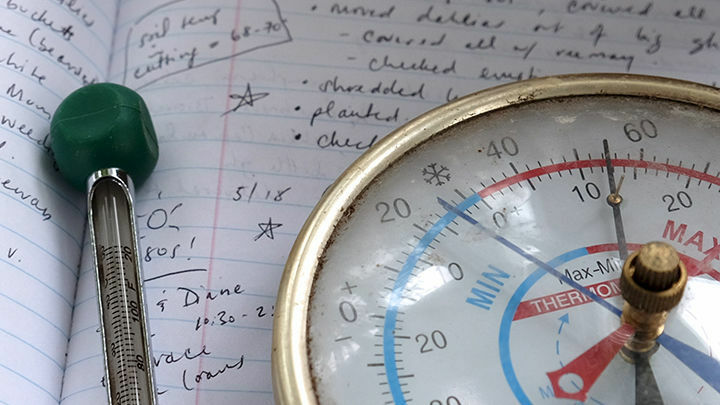 Measure the temperature with a long-stemmed thermometer. A 20-inch compost thermometer is nice but not necessary; I use my turkey thermometer. Just be sure to stick the probe deep into the center of the pile. Take two or three readings from several areas of the pile each day for the first week when you first start making compost, so you get a feeling for what is normal. If you make the same mix again and again, after several batches you won’t have to monitor quite so closely. When the temperature gets to about 155°F, turn the pile with a pitchfork or a shovel. This mixes the cooler materials on the outside to the center and brings air into the pile, preventing anaerobic conditions. Within a day or so, the pile will be back up to 155°F, and you’ll need to turn it again. Expect to turn the pile every day or two for about the first week to get it and keep it in the 135° to 155°F range. After that, you can let it alone, maybe turning it once or twice more during the next few weeks. 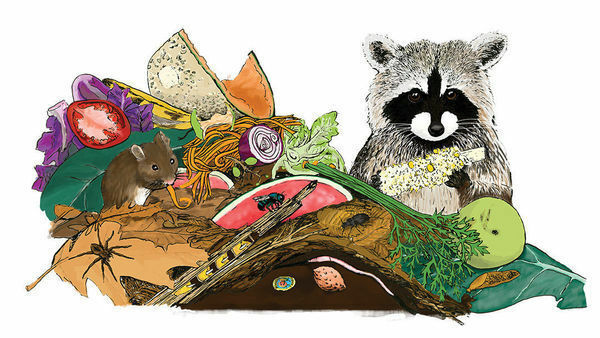 The more you turn the pile, the more the compost tends to become bacterial. That’s because any kind of disturbance destroys fungi by breaking up their mycelia and helps the bacteria beat the fungi by bringing the foods bacteria need into range for the tiny individual bacteria. As the compost matures, the temperature will drop gradually until, after six to eight weeks, the center of the pile is cool or barely warm to the touch. The compost is now ready. 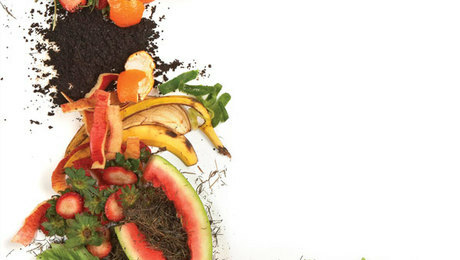 With any form of compost, solid or tea, bad smells mean bad business. Healthy, adequately oxygenated compost and compost tea should smell sweet and earthy. 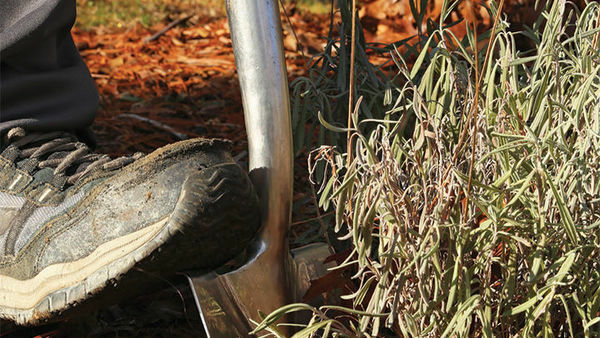 Never use a smelly compost tea on your plants. The true bugaboo is alcohol, a product of anaerobic decomposition that destroys cell walls. Roots tolerate only 1 part per million alcohol. That’s a very small amount, and human noses aren’t good at detecting it. Instead, we can detect all the other smelly compounds that go with anaerobic production of alcohol. 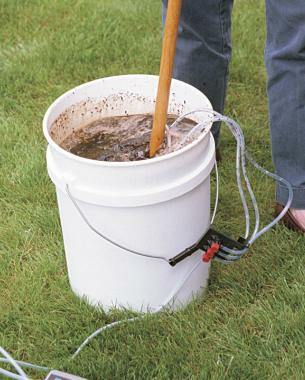 If your compost tea smells bad, add a second pump with more bubblers, and stir it more often. Aerate it until the smell goes away. Likewise, if your compost pile smells bad, turn it more frequently. 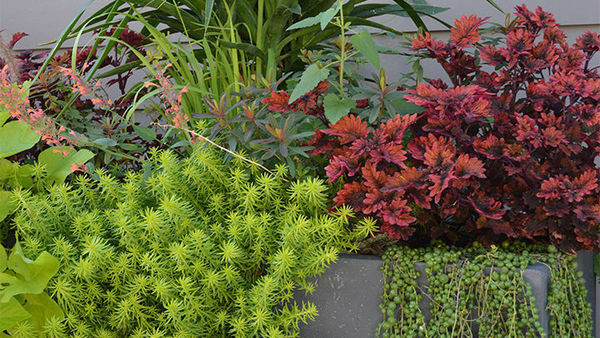 How often to spray your plants with tea depends on how healthy your garden is. 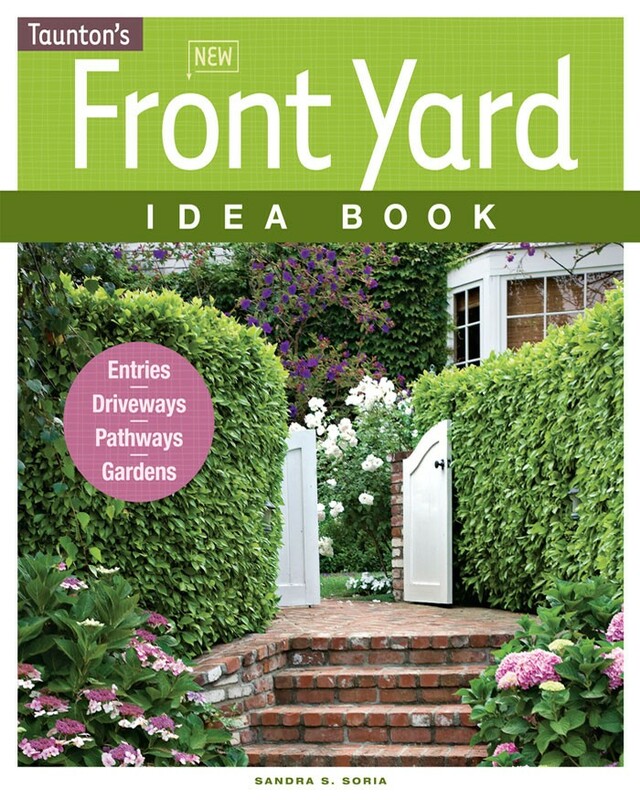 In my garden, which has had no pesticide use since 1986, I spray my plants one time in spring, then let the beneficial insects spread the compost tea organisms around the plants in my garden, preventing any pest problems for the rest of the season. 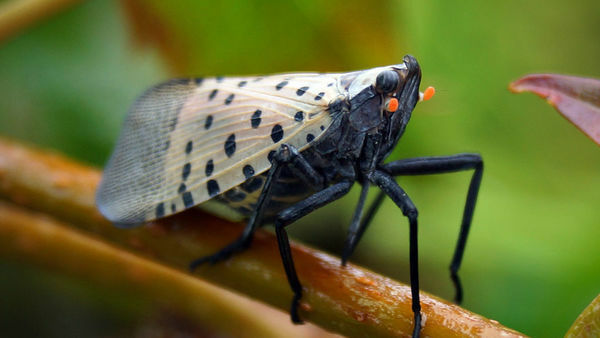 Beneficial insect presence is a good indicator of your garden’s health. If you don’t have good levels of beneficial insects in your garden, then spray at least once a month, or as often as once every two weeks. Start when plants have developed their first set of true leaves. To control damping-off, spray the soil with full-strength tea as soon as you plant. On trees and shrubs, spray two weeks before bud break, then every 10 to 14 days. You’ll have to spray every 10 days if you have a neighbor who sprays pesticides, because pesticides kill the beneficial organisms as well as some of the pests. 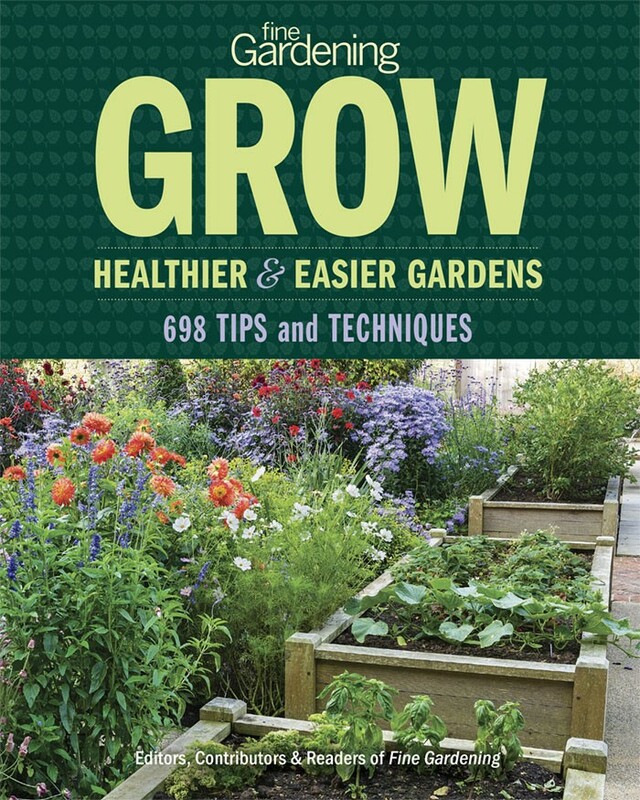 If you’re not growing veggies, herbs, and/or fruits this year, you don’t know what you’re missing! 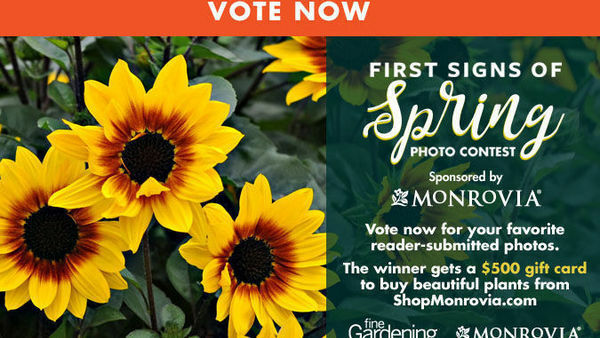 If you need convincing, visit VegetableGardener.com . It’s not coffee—it’s tea. 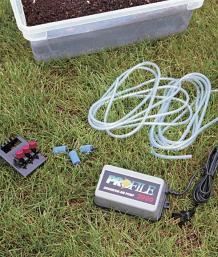 Well-brewed compost tea is rich in microorganisms that are highly beneficial to your plants’ growth and health. The soil is full of microorganisms that aid plant growth and plant health—bacteria and fungi, which are decomposers, and protozoa and beneficial nematodes, which are predators. But there are bad guys, too—disease-causing bacteria and fungi, protozoa, and root-feeding nematodes. Our goal as gardeners is to enhance the beneficial microorganisms in this soil foodweb, because they help our plants. The bad bacterial decomposers and the plant-toxic products they make are enhanced by anaerobic, or reduced-oxygen, conditions. By making sure the tea and the compost itself are well oxygenated and highly aerobic, you eliminate 75 percent of the potential plant-disease-causing bacteria and plant-toxic products. 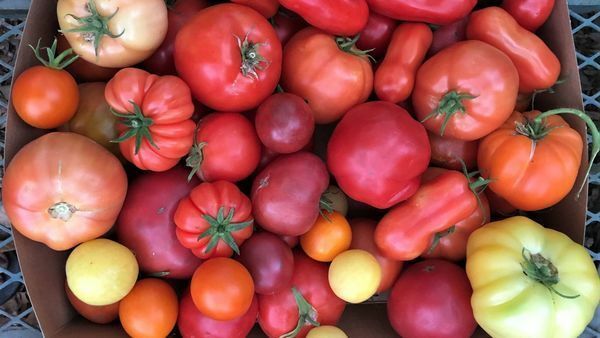 To take care of the other 25 percent of potential diseases and pests, you want to get good guys into the soil and on at least 60 to 70 percent of your plants’ leaves. Good bacteria work against the detrimental ones in four ways: They consume the bad guys, they may produce antibiotics that inhibit them, they compete for nutrients, and they compete for space. Plants themselves don’t use all of the energy they make through photosynthesis. For example, 60 percent of a vegetable plant’s energy goes to its root system, and half of that energy is exuded into the soil. Of those exudates, 90 percent are sugars; the rest are carbohydrates and proteins. When you think about these ingredients as food, they’re the makings for cake. This is high-energy stuff. Why is nearly one-third of a vegetable plant’s output going into the soil as energy-rich food? To feed the good bacteria and fungi. When we human beings kill off bacteria, fungi, protozoa, nematodes, and other organisms, whether by polluting the air or by spraying pesticides or even by using chemical fertilizers, we’re reducing the population of critters that plants feed. That’s why one of the simplest and best things you can do for your garden is to spray your plants with compost tea, to bring back organisms killed by chemicals. Help! I used very stinky compost tea on all my vegetable plants. I watered very heavily about two hours prior. The plants are all about knee high and very healthy. Is this going to kill them? anaerobic tea will not kill your plants. People have been making anaerobic tea for thousands of years to great effect. Aerated tea is a modern invention. 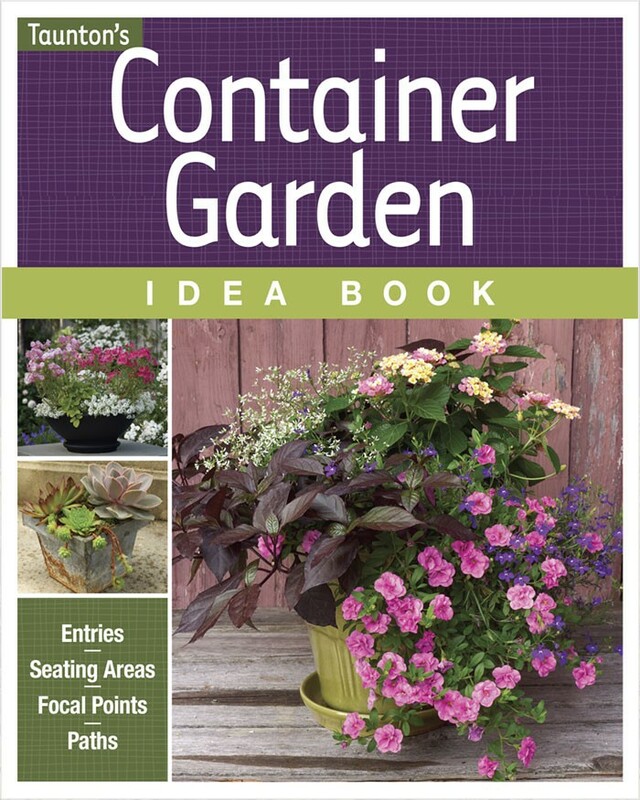 Most sources say to use about 1 cup of compost per 5 gallons of water. Why do you use so much more? I use about 4 cups of compost per 5 gallon brew. I bubble it with a special aerator made by TeaLAB for at least 18 hours. I feed the microbes with fish powder. My plants seem to love it. I have read that an aquarium pump does not work and a more expensive (approx $40 pump is needed). What is your opinion on this issue? What about the PH of the tea, does it need to be adjusted? Is there tea for soil and another for hydroponics? Inoculate it with fungus mycorrhizae, which makes it more nutritious AND brings down the PH, making it healthier for most plants (especially cannabis!). I am interested in types write-up. It really is good for uncover individuals explain in words about the heart along with knowing in this substantial style is generally merely found. i found your article very intresting. thank you for sharing this kind of information here.. i will keep reading your posts. best essay writing service reddit helped me a lot with accomplishing my writing assignment, even on such a difficult topic as brewing compost tea. I was entirely delighted with the quality of the essay from Handmade Writing as well as with communication with their support team.